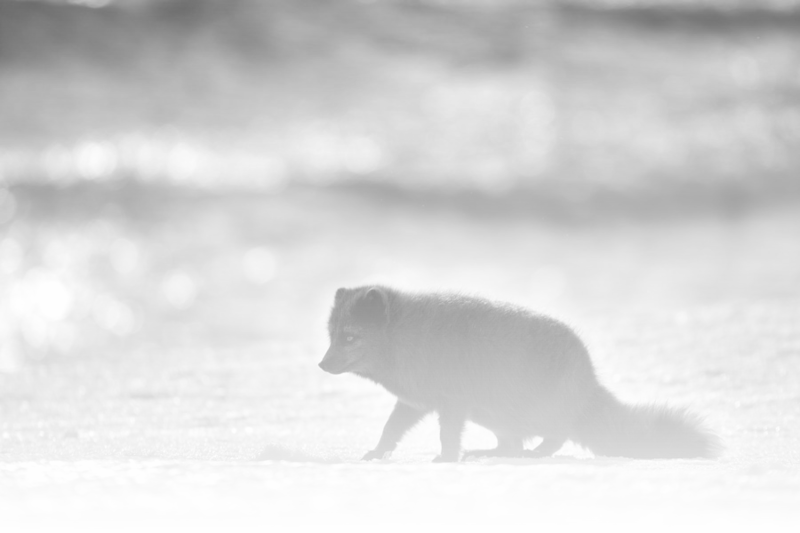 In the north of the world from always the small Arctic Foxes run around, in winter as in summer. Tireless, they walk kilometers to the continuous search of the food necessary for their survival. Typically the coat of the arctic fox is completely white in winter and brownish-gray in summer. But it exists a variant, the blue arctic fox, which has a dark color, brown with a bluish tone, both in winter and in summer. The blue variant accounts for 2-3% of arctic foxes, except that in Iceland, in the coastal regions, and especially in the region of the West Fjords, where the two variants are present in almost similar number. And what better season to look for these goblins if not the winter, in the snow and blizzards or with the warmth of the first pale sun.